Which shows that since 2005, oil production has remained roughly constant, within a 4% band of 85 million barrels per day, with a slight peak in the summer of 2008. What happened in 2008? 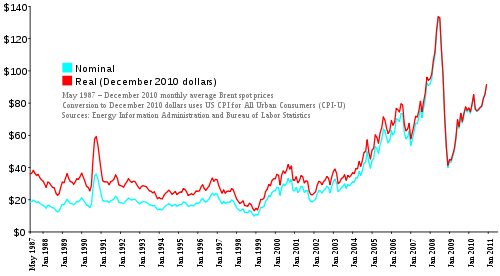 Well, both the book by Gilbert and Perl I mentioned above, and the Post-Carbon Reader (which I mentioned in my last post on peak oil) identify 2008 as the year when everything changed. And not because that was the year of the financial crisis, but because in the summer of 2008, oil prices suddenly surged to $150 per barrel, which in hindsight now looks like a major trigger of the financial crisis. 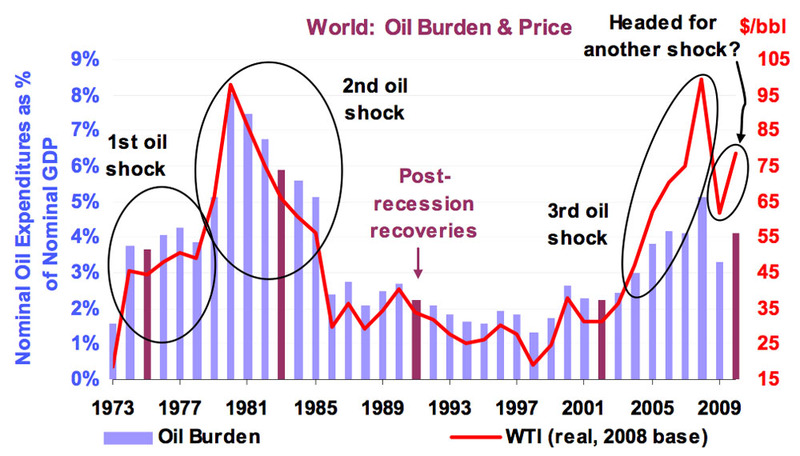 It was, therefore, the first taste of what’s to come if oil production really has peaked. Picking out cause and effect is a little tricky here. One could conclude that current high oil prices are caused by the unrest sweeping many of the oil producing nations of North Africa and the Middle East. A more sophisticated analysis says that while the popular uprising in these countries is due to a growing discontent with corrupt dictatorships, it was specifically triggered by a spike in food prices. When governments cannot feed their people, what might have been (barely) tolerable in the past suddenly becomes completely intolerable. And the spike in food prices? It’s due to the combination of sharply rising oil prices and climate-related disasters around the world that have hit food production simultaneously in many parts of the world. Oil prices appear to be on their way up to the level we saw in 2008. Food prices are doing the same. The big worry is that this is no longer a temporary thing. Back in early January, before the latest spike in oil prices, Lester Brown predicted 2011 will be a year of food crises. So far he’s looking spot on. Speculation does not, of course, affect the underlying, long-term demand and supply dynamics driving peak oil (by 2014 per Nashwari et al 2010). 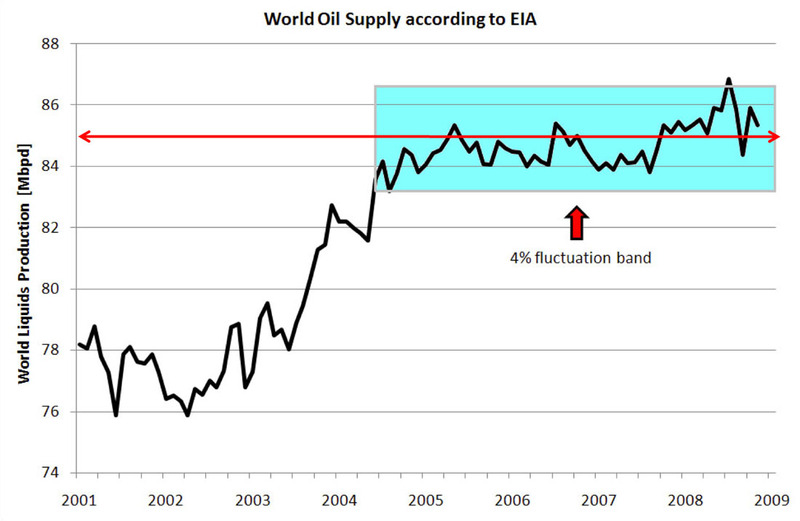 Speculation may also be affected by peak-seeking uncertainty (as exemplified by the “World Oil Supply according to EIA” series above). But bubblicious noise can famously swamp supply/demand signal in any market.